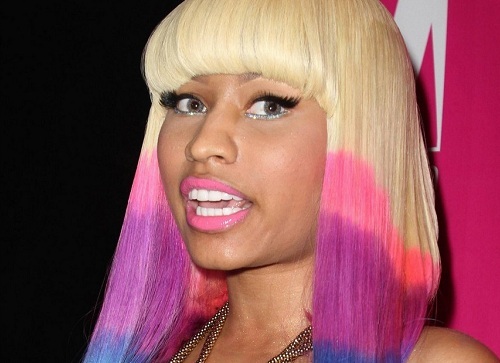 Nicki Minaj has defended low album sales for her new album Roman Reloaded: The Re-Up as stores have refused to shelve it. According to the singer, retailers such as Walmart and Target are refusing to sell the album due to the previous decline in sales for ‘Re-Up’ albums, which tend to never be a big hit. Nicki’s new record can easily be found online, on iTunes and Amazon, but for the people who prefer buying the actual CD, it’s going to be tough finding a retailer who is selling her album. During a radio interview with the Breakfast Club on POWER105.1, the singer expressed her feelings towards the album being pulled from stores and continues that she’s upset Target is not selling it, considering that they had sold the most copies of her three times platinum-selling debut album Pink Friday. “It’s hard to get the album because the stores basically said that the last few re-releases they had put out did not do well and they didn’t want to take a chance. So Target and Walmart [are] not selling the album. And Target is actually my biggest retailer. They’ve sold the most Nicki Minaj albums ever; thank you Target, but I wish you could have sold this one… it kind of sets you up to fail. In the interview, Minaj hinted that she will be taking a break from music to get the right music material together before she puts out another record. It’s fair to say that Roman Reloaded was a disappointment, and a big risk for the singer. Since its release in April, it has surpassed 1,000,000 record sales but music critics felt it was a big let down after her debut album.